Karl Deisseroth, M.D., Ph.D., used his 2005 NARSAD Young Investigator Grant to develop optogenetics, a new technology that has revolutionized systems neuroscience by providing precise control over brain circuitry in awake, behaving animals. Optogenetics involves the use of light to rapidly open and close the membrane channels that make neurons fire and cease firing and allows for observation of the effects on behavior. Now in use at thousands of labs all over the world, this new method is enabling the identification of the mechanisms that give rise to depression, anxiety, schizophrenia, autism and other brain and behavior disorders. Read the abstract of this research project. 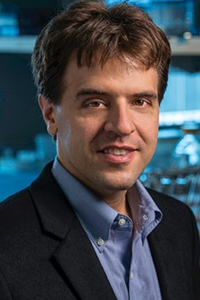 In 2013, Dr. Deisseroth was awarded the Goldman-Rakic Prize for Outstanding Achievement in Cognitive Neuroscience. Watch his prizewinner video. Read Article in New York Times. Read Article in Scientific American. Read an abstract about Dr. Deisseroth's research in Nature Neuroscience. Read an abstract about Dr. Deisseroth's research in The Journal of Neuroscience. Read an abstract about Dr. Deisseroth's research in Nature Reviews Neuroscience.